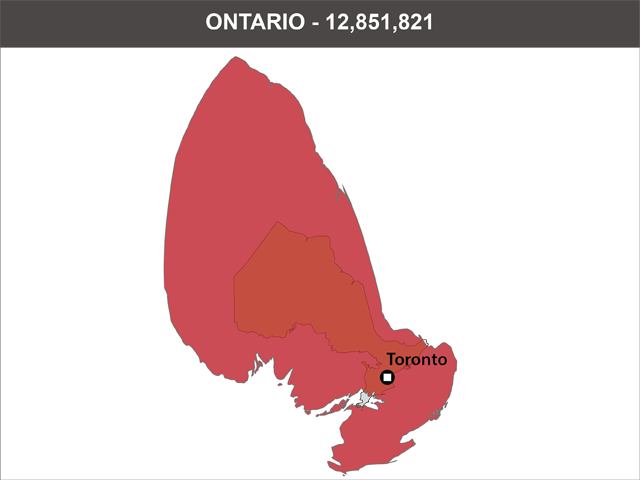 In a map adjusted for population, Ontario is easily the biggest, while Nunavut is practically miniscule. Which might make for a better home or place to visit for you? Let’s take a look. 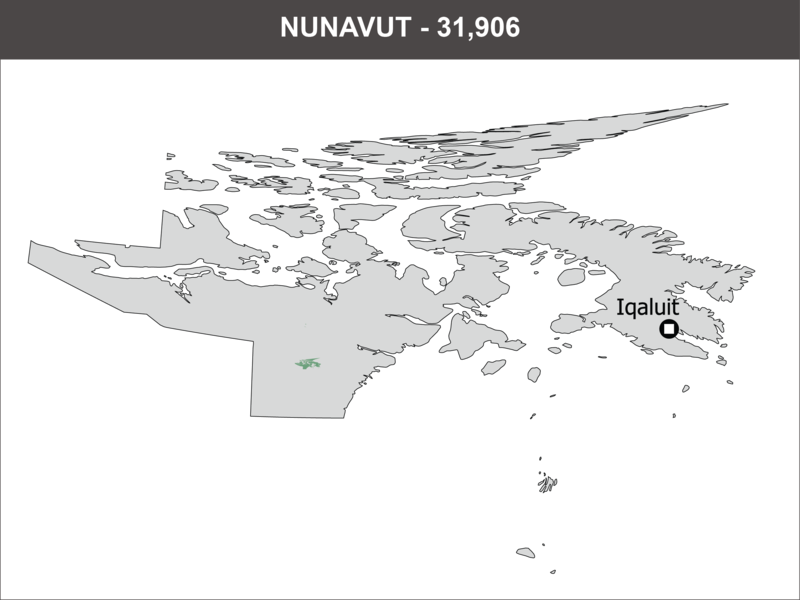 On the one hand, while Nunavut is the youngest of the Canadian provinces and territories, Ontario is about as old as they come, not just in Canada but in terms of North America as a whole. The British Empire, back when it was just starting to rocket upwards, founded Ontario, as they did the original Thirteen Colonies which later became Canada’s rebellious sister America. 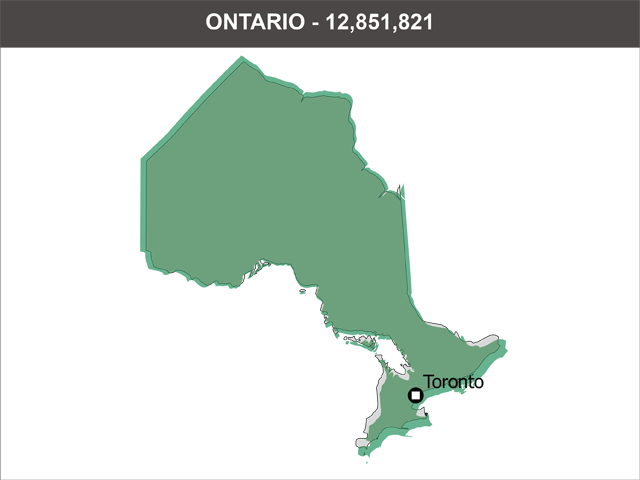 Ontario has a total population of roughly 12.8 million, with more than 691,000 moving to Canada’s most populous province in recent years according to the OECD/World Bank, who conducted a study on, among other things, population rate of change from 2006 to 2011. The rate of change in Ontario was +5.7%, slightly less than the national average, but still good enough to contribute to the growth described above. 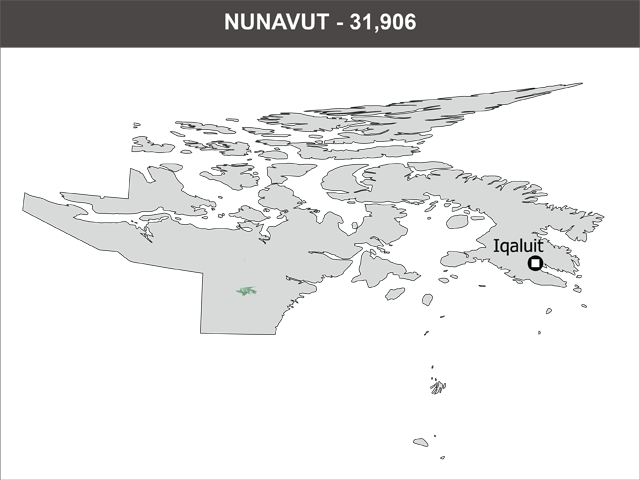 By contrast, Nunavut has a total population of just around 31,900. 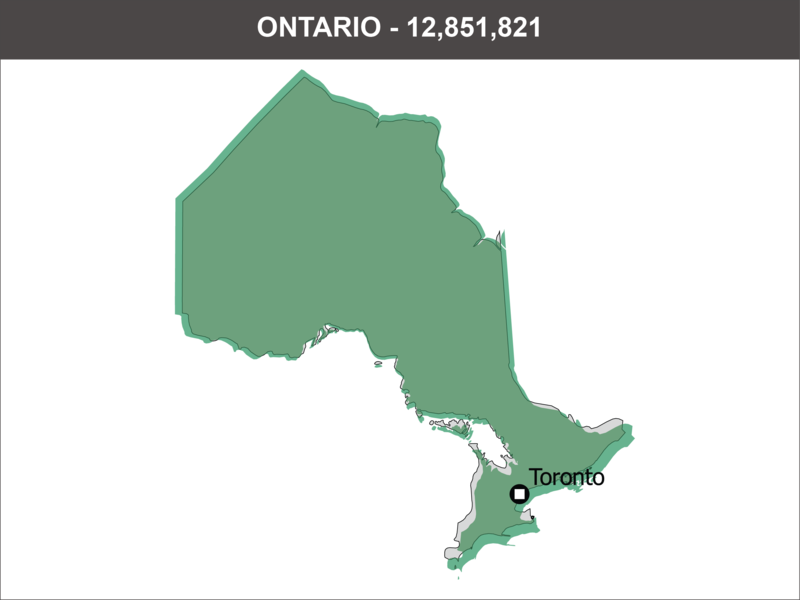 Not only is that far less populous than Ontario, or even major cities in the province such as Toronto, Ottawa and Hamilton, that’s even less than some of the smaller neighborhoods in those cities. 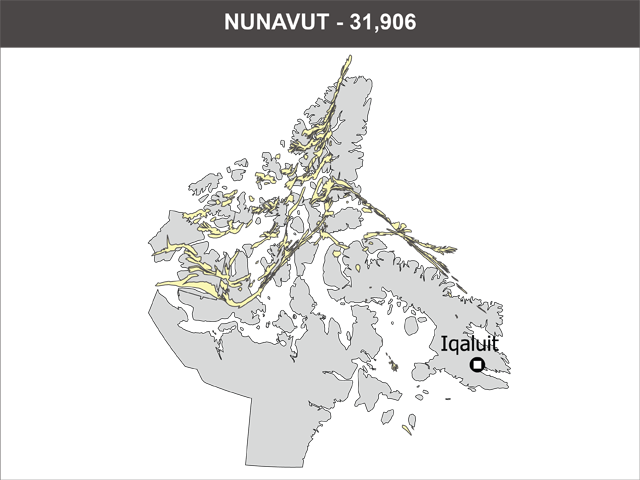 That said, Nunavut comes up big in at least one area over its far larger rival, and that’s rate of change—while the roughly 2,400 people who migrated to Nunavut over that same period of time is obviously far fewer than the more than half million that came to Ontario, the overall rate of change is not just greater—+8.3%--but actually ranks as the third highest growth rate in the nation, beaten out by just the Yukon and Alberta for that distinction. Ontario could make a case for being Canada’s most internationally-famous province—though Quebecois might have something to say about that—and its international profile likewise reflects that perception. Toronto is home to a CFL franchise and teams in each of the three non-football “Major Four North American Sports.” The Maple Leafs, while still stuck in a mess in terms of actual on-ice performance, nevertheless remain one of the most storied and well-known teams not just in the NHL, but in all of Canada. Indeed, only the Montreal Canadiens themselves could pose a formidable argument to being the athletics franchise most associated with Canada, in the same way the New York Yankees are—to chagrin of many, rest assured—the most well-known American baseball team in the world. 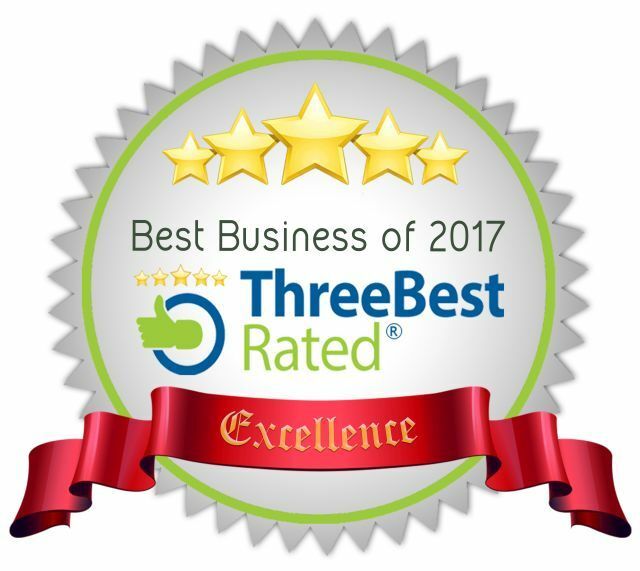 What’s more, Toronto also enjoys world-class status in everything from entertainment and culture to dining and atmosphere. Furthermore, Ottawa is the seat of power for the Canadian government. Even better for Canada, while Toronto and Ottawa may be argued as loosely analogous to the States’ New York City and Washington D.C., the crime rate in those Canadian cities are far, far lower than their American counterparts. Given the sheer size of Toronto in particular, that’s no small accomplishment. Still, it’s a big city life for sure, and there’s no shortage of jostling and traffic, as any native will tell you. 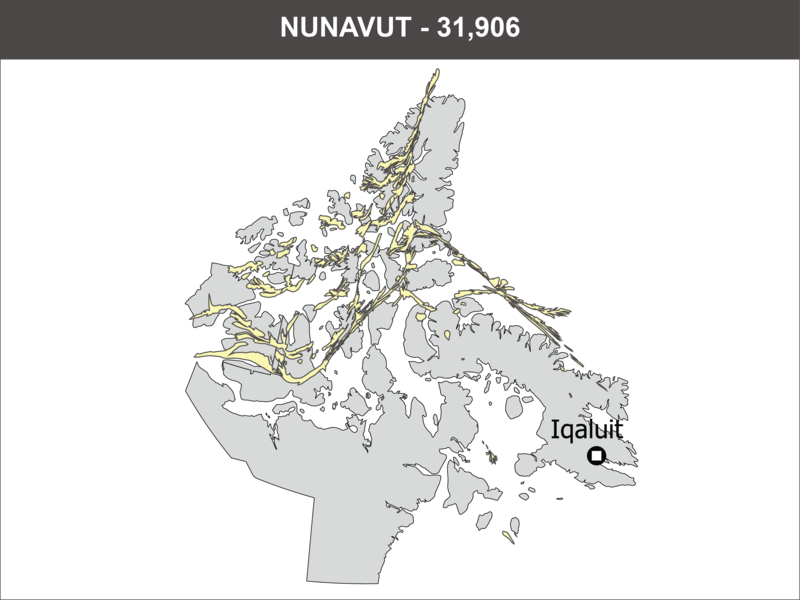 For all of that, if Ontario is the Canadian answer to America’s I-5 super-complex of world cities stretching from New York to D.C., Nunavut may be seen as more equivalent to, say, Wyoming. 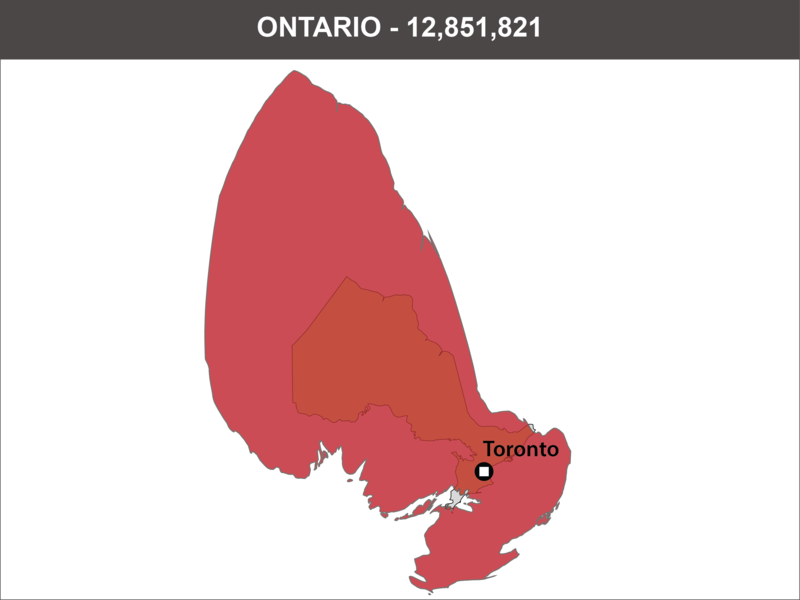 The ratio of people per square mile is not nearly as dense as somewhere as urban as Ontario in general and the Greater Toronto Area in particular, and Nunavut is likewise further removed from all the hullabaloo which can surround a city as hotly political as Ottawa. Instead, the great outdoors is where it’s at, and with so few people, you’ll have plenty of time to enjoy the pure natural greatness of the Great White North without the intrusion of smoke, smog, or rival NHL fans laughing and taunting you just because your team hasn’t won a Stanley Cup in nearly 50 years. That said, however, there is something to be said for the kind of tourism and buzz that such big cities can attract, and Nunavut, for all its natural wonder and peace and quiet, is definitely lacking in some of the first-class treatment cities like Toronto get. Even if you’re not someone to care about painting the town red or enjoying the absolute latest in fashion and dining trends, not having a major cultural hub can have far reaching effects on what you’re able to enjoy and when you’re able to enjoy it. For example, major films tend to premier in major cities—New York, LA, London, Paris, etc. Toronto isn’t quite in the same league as those heavy-hitters (yet) but both its international profile and standing film industry nevertheless means that it will get major releases ahead of smaller cities, or even entire states and provinces/territories—like, say, Nunavut. As such, if you’re jazzed up about a new film in your favorite franchise opening, you may get said film a day or two later, and if it’s a non-franchise film in particular, the wait may be longer still. What’s more, this can extend into the world of fashion and consumerism as well. Excited for the latest fall lines, or for that new video game system coming out? Well, you may just have to wait for places like big bad Ontario to get those systems or fashions and generate buzz first. In addition, new industries tend to gravitate towards major metropolitan centers in order to find customers and build their brand. As such, if you’re excited about a new, hip business or chain and live in Nunavut, you may have to wait a good while for that chain to set up shop—if it comes at all. Both Ontario and Nunavut have their positives and are continuing to progress in their own ways, and offer two different yet equally interesting vacation destinations to would-be tourists.